We are back at Films at The Fort! 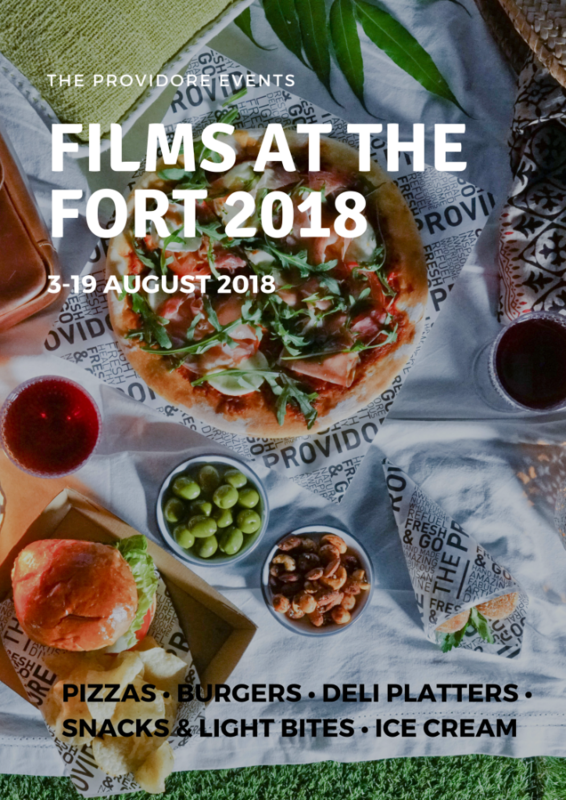 Immerse yourself in the whole Films At The Fort experience and enjoy a movie under the stars, accompanied by a great meal and drinks with your friends and loved ones! For the third year running, we will be onsite serving up a fresh menu of delicious options; deli platters, burgers, pizzas… and of course popcorn and ice cream. We can’t wait to see you at the movies!